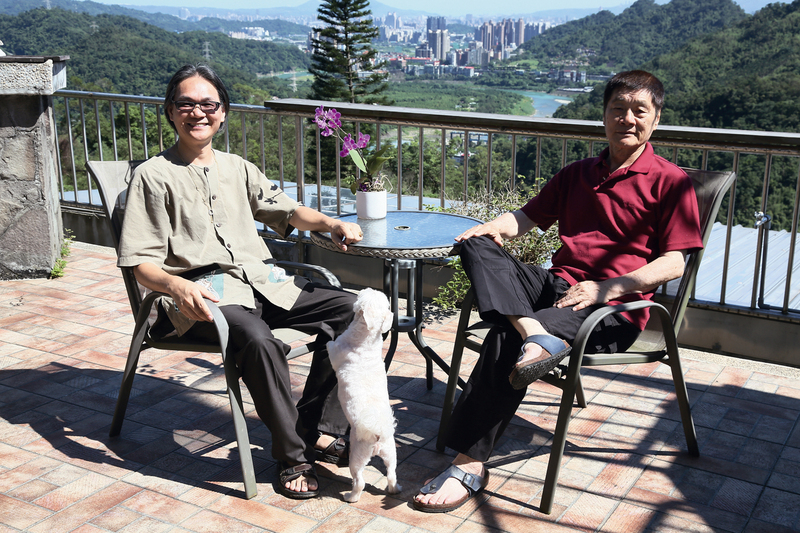 Chang Yu-chuan (left), organizer of “Meat Free Monday Taiwan,” with Wilderness Foundation Formosa chairman Hsu Jen-shiu (right). Andrew Nicholls with his tasty vegan cheese pie—sans milk or eggs. Elbert Gu, who has traveled the world teaching oil painting and holding exhibitions, expounds upon the convenience of eating vegan in Taiwan. Drawing upon her childhood memories, Michel Carson combines Italian spices and Taiwan’s year-round ingredients to make a vegan spaghetti sauce. Whenever he speaks of the art of cooking, Feng Pei-ge virtually radiates with delight, which leaves a deep impression on others. 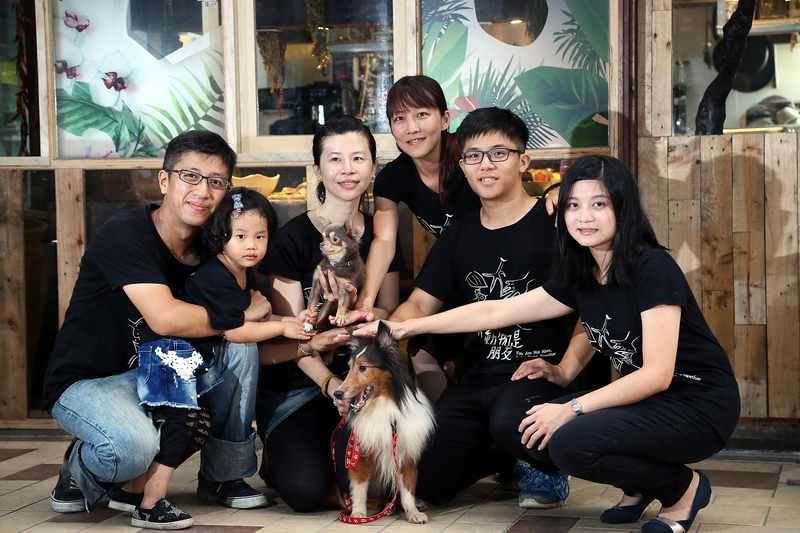 A band of young people have penetrated to Taiwan’s every nook and cranny, where they invest their own money and efforts into advocating veganism and animal rights. In an April 2017 report, CNN once again ranked Tai­pei among the world’s top ten most popular cities for vegan cuisine. 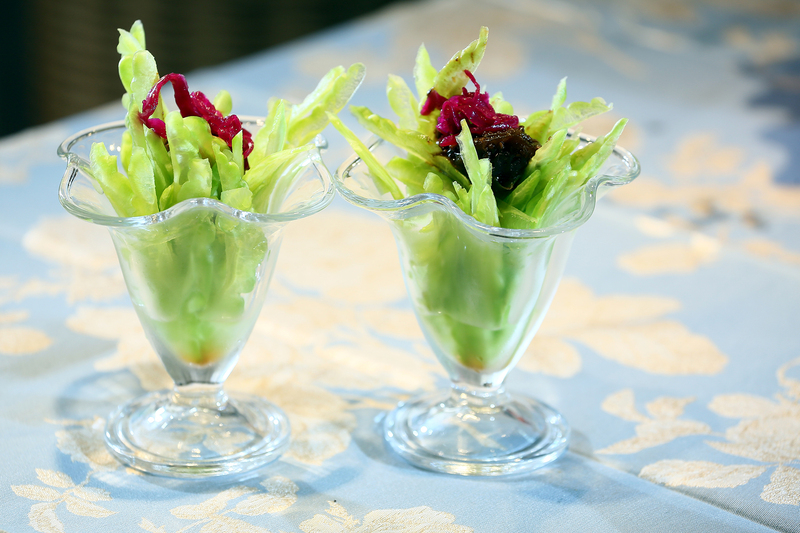 This is not the first time that international media have praised Taiwan’s vegan fare. Aside from baseball, xiao­long bao steamed buns, night markets and other familiar points of pride, the impact of veganism in Taiwan is not to be underestimated. Besides avoiding consumption of food derived from animals, such as eggs, milk, cheese and honey, veganism extends to all levels of the environment, education and lifestyle. The mere absence of animal ingredients does not qualify as “vegan”; rather, it should be defined as a lifestyle that is friendly to the environment, animal life and mankind. 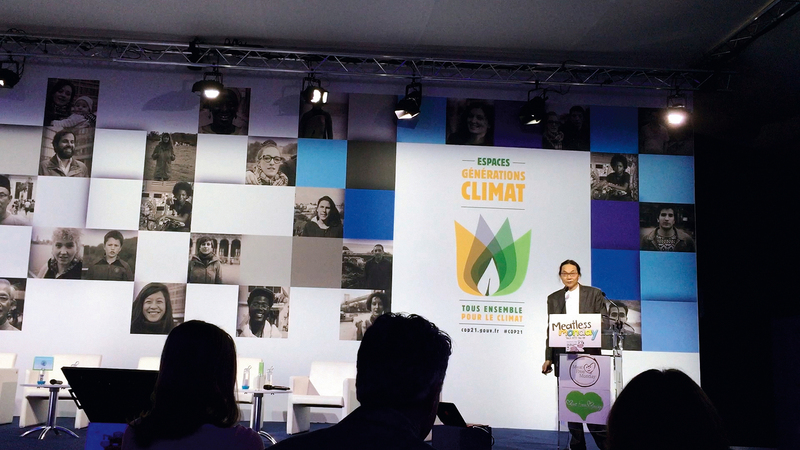 In December 2015 when the United Nations Climate Change Conference (COP 21) took place in Paris, located in the NGO pavilion were 18 “Meatless Monday” bodies from 13 countries that participated in this grand event. ­Chang Yu-chuan­, organizer of the “Meat Free Monday Taiwan” campaign, noted in his speech that the rapid expansion of meat consumption by human beings has caused devastating damage to rainforests, the oceans and the land. Farm-raised animals may even gobble up one-third of grain globally. He also reported to the international attendees that as the result of a nearly decade-long vegan campaign, according to statistics from Taiwan’s Ministry of Education, in 2012, for example, some 2,328 elementary, middle and high schools instituted meatless Mondays and students consumed up to 7 million vegetarian meals per day. During this period, not just schools but many central government and local officials also did their bit. 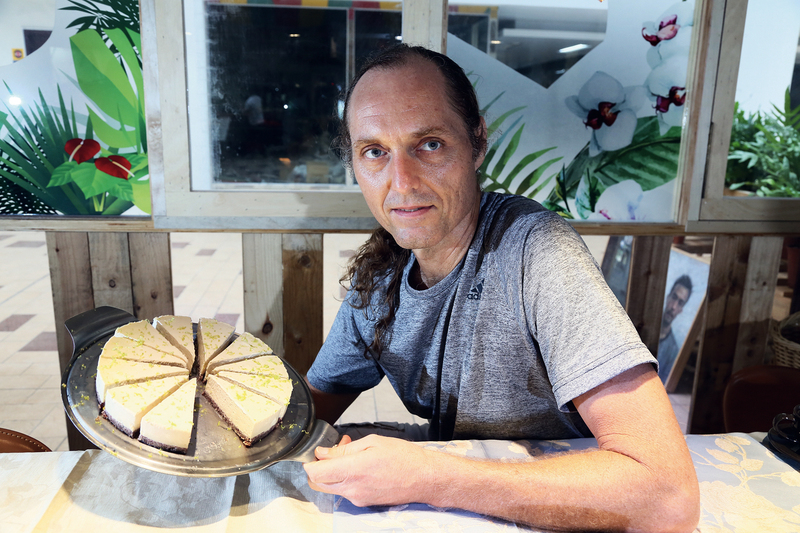 “At the end of the forum, friends from Switzerland and Norway came to inquire how Taiwan had managed to obtain such results, and they heaped praise on Taiwan’s promotion of vegan eating,” says ­Chang. Chang points out that the one-meatless-day-a-week activity is being promoted in about 40 countries and territories. Although the launch of this global vegetarian and vegan campaign has been managed by local NGOs in each country, in terms of the shared global environmental theme, the goal remains consistent. In Taiwan, including support for activities such as “Meat Free Monday” by groups in various sectors, the concept of vegetarianism among Taiwanese has evolved from religious factors initially, to one in which increasing numbers of people prefer a plant-based diet for reasons such as health, and protection of animals and the environment. Andrew Nicholls, Elbert Gu and Michel Cason hail from Australia, the US and South Africa, respectively. Despite their different nationalities and backgrounds, they became acquainted in Taiwan thanks to their similar vegan concepts. Nicholls, who arrived in Taiwan nine years ago, holds a master’s degree in sports science and sports education from Australia, and specializes in coaching athletes. He is also a Pilates International instructor. While reading Diet for a New America in 1988, he discovered that the inhumane treatment and killing of animals described in the book closely resembled the scenes of butchery he had witnessed on his family’s farm as a child. A practicing vegan for nearly 25 years, he feels strongly about how veganism has evolved in Taiwan over the last eight years. 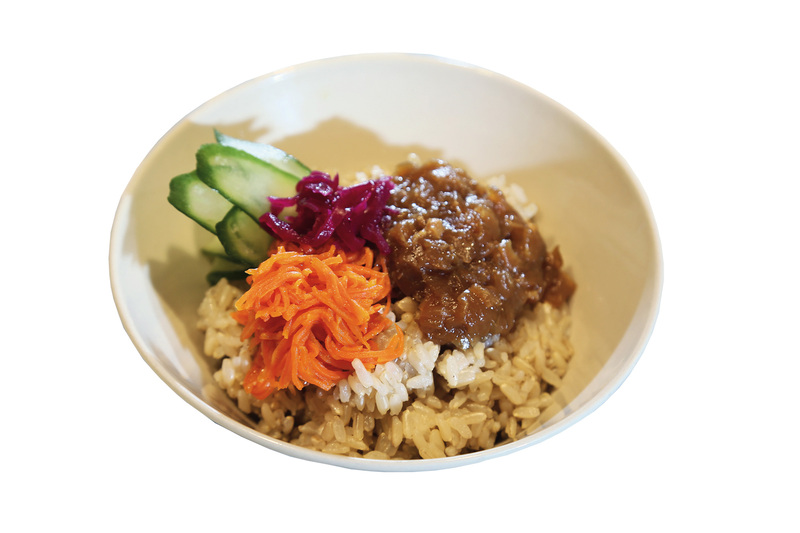 When he first arrived here vegetarian fare was available but vendors placed little emphasis on nutrition and taste, whereas nowadays it seems as if every month or two a new vegan eating spot pops up somewhere. In Taiwan, Nicholls has found his second home outside Australia. Now promoting vegan dining in Taiwan via her own restaurant, Michel Cason was inspired to become a vegan thanks to the Taiwanese. She first came to Taiwan purely for travel, but soon discovered the widespread practice of vegetarianism, and the respect and importance accorded to those who do not eat meat, attitudes that are unmatched in other countries. Once she acquired a deeper understanding of veganism’s benefits for both human health and animal welfare, she naturally became a member of the vegan tribe. ­Cason has been in Taiwan for seven years. As a chef, she has been deeply impressed with the rich and varied assortment of vegetables available here. “There are many kinds of vegetables in Taiwan, including Chinese kale, chayote leaves, water spinach, bird’s-nest fern and so on. Variety like this can’t be found South Africa,” she says. Fruits and vegetables are plentiful year-round, with specific types abundant depending upon the season. Taiwan is indeed blessed with a unique environment. 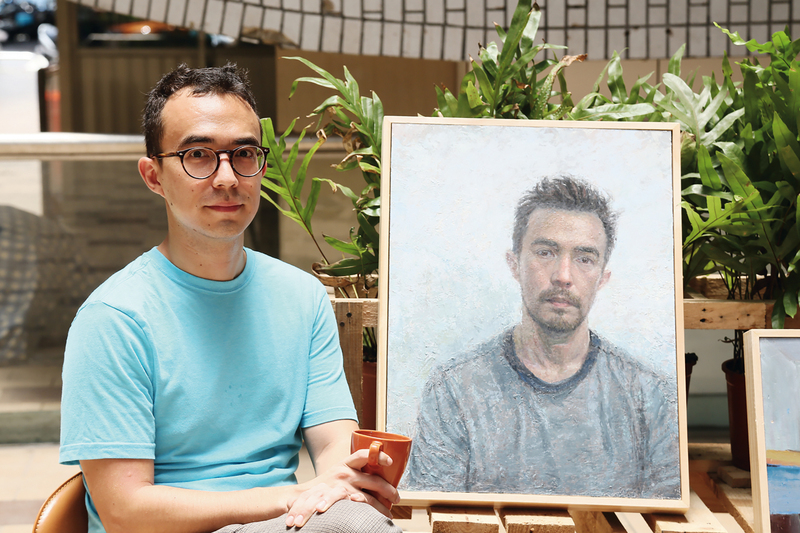 Based upon experience acquired traveling the world while teaching oil painting and exhibiting his own works, Elbert Gu—who is a visiting scholar at Nanjing University of the Arts—says eating vegan has been no easy feat. 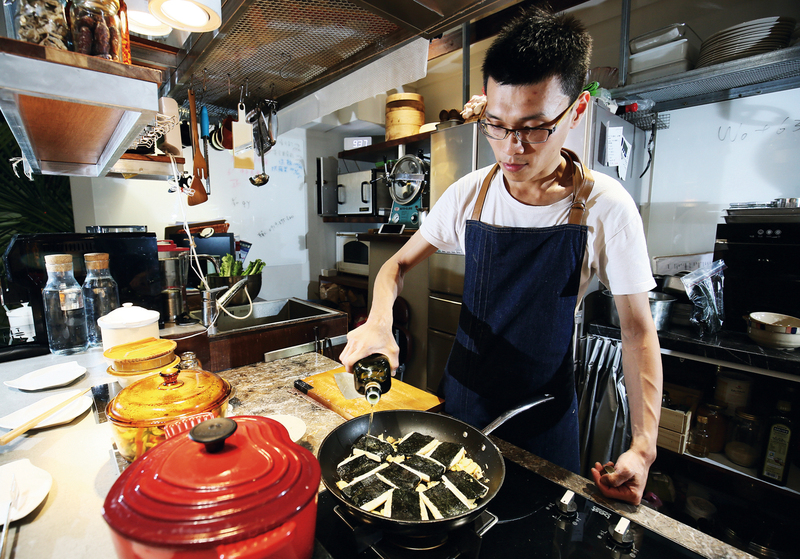 He has resided in Taiwan for four years now, however, and to him it seems that at almost ­every corner one finds food and drink fit for vegetarians. 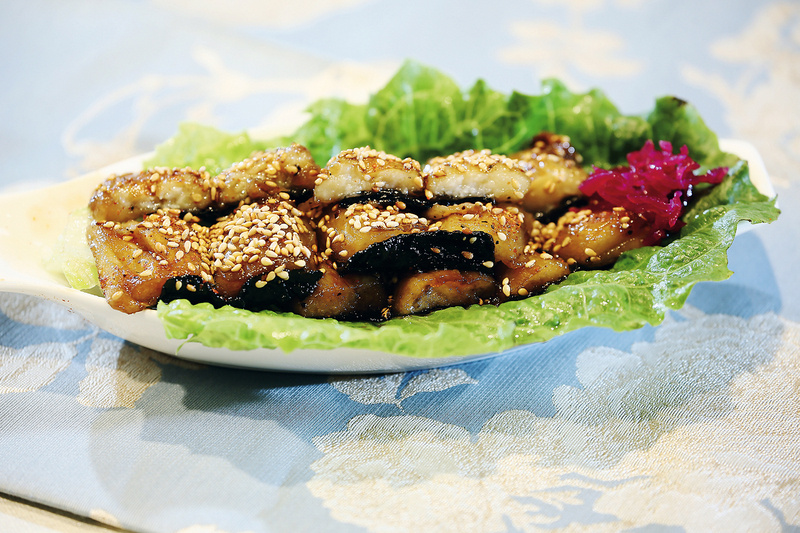 He believes that this is because Taiwan has undergone many different waves of “cultural baptism,” and thus it exhibits an eclectic taste for vegetarian cuisine. Recently he has undertaken an artistic project with vegan overtones, in which he hopes to show that behind the jolly images of animals on meat and dairy product packaging, there lie hidden tragedies and slaughter. “For the natural ecosystem, each species is equally important.” Hsu Jen-shiu, chairman of Wilderness Foundation Formosa, who has devoted his energies to protecting wilderness over several decades, advocates for a green revolution from the perspective of protecting our planet. Mankind’s rapacious desire far exceeds the concrete needs of human survival, and in order to earn profits he recklessly fells mountain forests and undertakes huge construction projects. In order to reduce the cost of raising livestock, meat and bone meal made from rendered bovine carcases was added to cattle feed, resulting in outbreaks of mad cow disease. But with the emergence of the vegan concept in Taiwan, many health and environmental issues can be resolved. Hsu Jen-shiu mentions that a group of wilderness protection volunteers has gone to Tai­tung to engage in fertilizer-free “nature farming,” in the hopes of reducing environmental hazards caused by foodstuff production. In order to promote the establishment of bodies devoted to teaching ecology among overseas Chinese, Hsu has replicated the methodology of Taiwan’s Society of Wilderness, going to places such as Nicaragua, Australia, Malaysia (including Sabah), and Central America. “In Malaysia’s Sa­ra­wak there is a place called Uru Air. Originally, massive felling of mountain forests was planned. Our approach was to go into the forest and persuade the tribal chiefs to reconsider, as well as communicating directly with the governor.” Thanks to the constant efforts and coordination of volunteers such as Hsu Jen-shiu, local leaders were ultimately convinced of the forest’s value, and thus this swathe of precious natural assets was preserved. In Taiwan, members of the younger generation are using their own strengths to respond to the global vegan trend. 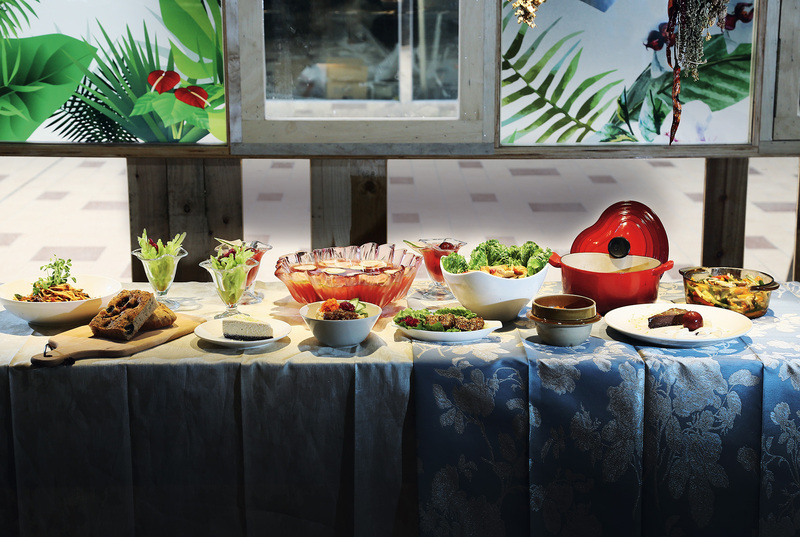 A table overflows with a banquet of vegan dishes prepared by the hand of Chef Feng Pei-ge. “When I was at university, I simply wanted to take care of three daily meals that were cheap, simple, and healthy. 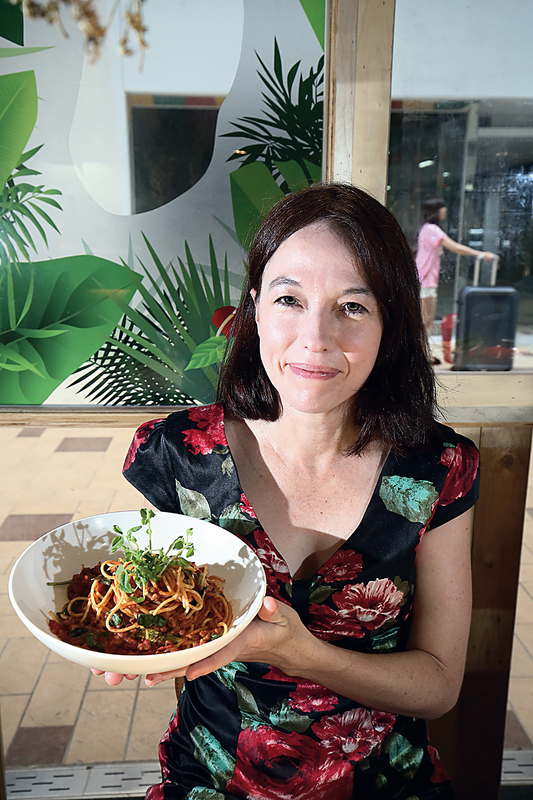 But as things turned out, along the way I became a vegan.” After graduating with an MS from the Department of Food Science at National Ping­tung University of Science and Technology, Feng worked in vegetarian restaurants for a few years. 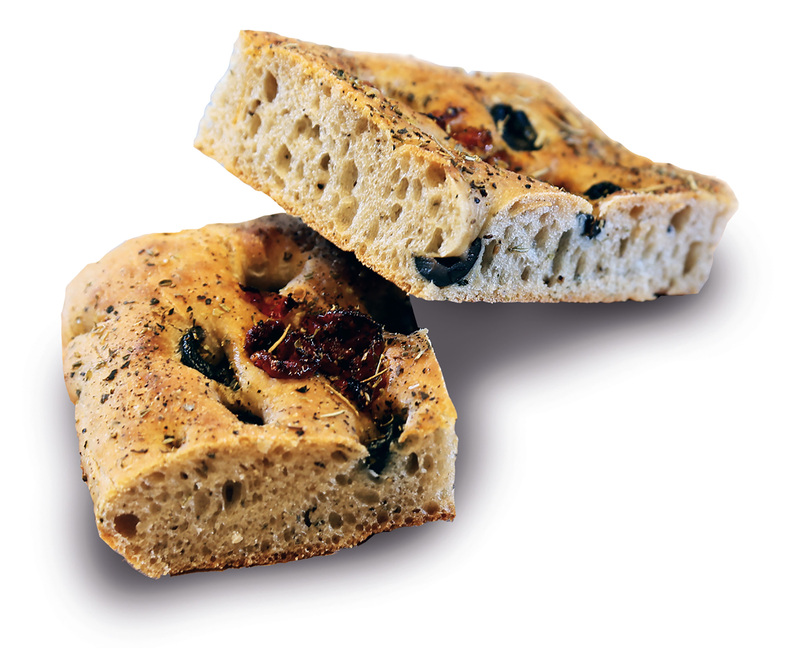 By virtue of self-study and food-related concepts acquired at university—and after repeated failures and experimentation—he gradually integrated his school learning with cooking ingredients. 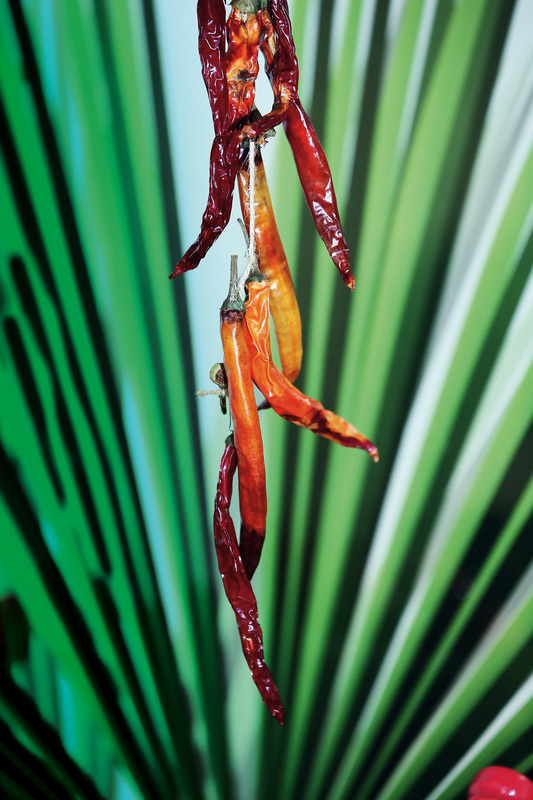 “Foreign chefs tend to make good use of bitter, astringent and sour flavors. After careful study, I discovered that they use bitterness to bring out a food’s depth and to balance other flavors. They use astringency to endow certain ingredients, originally very satisfying and luxurious, with a sense of layered freshness.” Whenever he speaks of the art of cooking, Feng virtually radiates with delight, which leaves a deep impression on others. This is how he conveys his response to the vegan way of life. In addition, a band of young people have penetrated to every corner of Taiwan, where they promote the concepts of veganism and of equal rights for animals. 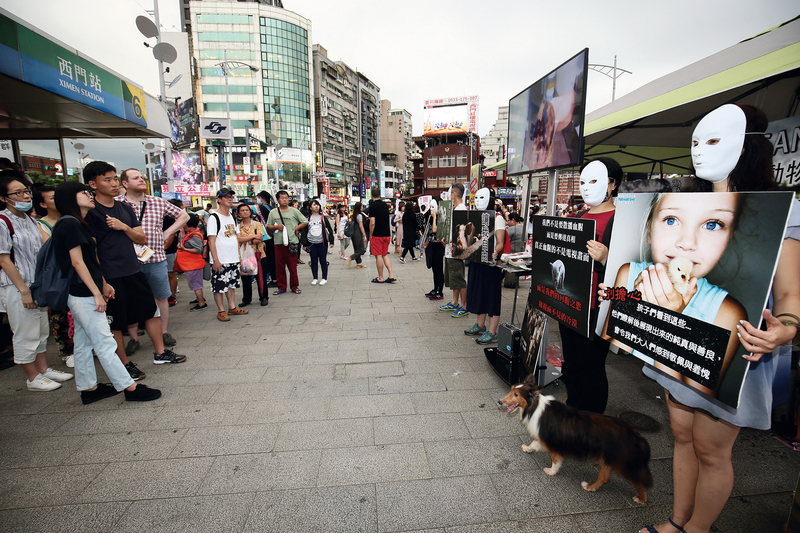 They include people like “Wusdom,” the Taiwan organizer of “30-Day Vegan,” who in his spare time uses his own money and efforts, and calls on like-minded volunteers to spread the word on the streets of Tai­pei, Tai­chung and Tai­nan; or Jessi ­Chang, consultant to National Taiwan University’s Animal Rights Club, and Dai Yu-sheng­, a fresh graduate from National Taiwan Normal University, both of whom promote the vegan lifestyle via on-campus speeches, setting up stalls, food-sharing and other activities. The selfless sacrifice of these young people, and their tenacious adherence to their ideals, also reflect the vitality of the new generation. As the world greets the vegan wave, fortunately Taiwan will not only be present—it also has the potential to serve as the leader of Asia’s green revolution.